Thanks for scanning and sharing this with us, popolocrois! Yesss! Very cute! I love it! They are very cute........! Athrun is pairing with Cagalli and Kira is with Lacus. Well, just curious..... Are they wear the wedding clothes (gown and the suit) ? i hope so. the chibis! they slay me! every single time! 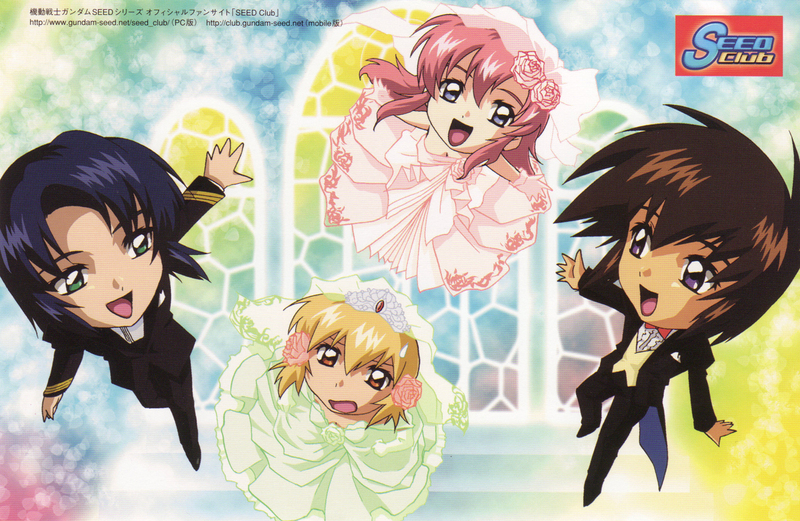 SOO GOOD I LOVE GUNDAM SEED CLUB! OMG THIS IS SO CUTE! they're all getting married! Wow..full of chibi.....i love it. thanks for this awesome chibi pic! to me they look like married couples..so happy to see this!